The warning comes after weeks of reported hacks. Fortnite players are being warned that accounts are being hacked and should stay vigilant against potential threats that have left some players out of hundreds of dollars. Various outlets and several Reddit threads have reported dozens of Fortnite players who say that their accounts have been hacked, and that finances tied to their accounts have been used to make purchases without them knowing. Epic announced that it is aware of the problem, and is complying with refund requests from affected players who make them. The company is also urging affected players to reach out through the company's help line. "We are aware of instances where users' accounts have been compromised using well-known hacking techniques and are working to resolve these issues directly with those players affected," said Epic Games in an email to Kotaku. Forbes suggests that the hackers are using popular hacking methods, such as mining passwords that are used across multiple accounts. It's never safe to reuse a single password for multiple accounts. Considering how popular Fortnite is, the user base for Epic accounts is no doubt large enough that some user passwords might have made their way to password dumps. There are ways to keep your password safe online, and you can fortify several online accounts with a few tweaks. For starters, never use the same password across different accounts, or similar passwords that could be guessed. Two-step verification is also important, helping you get alerted if someone tries to access your accounts without your permission. Epic offers two-step verification for their accounts, and so it's a good idea to sign up for if if you haven't already. The news of hacked accounts derail a pretty good series of weeks for Fortnite, which just announced a new mobile version which will be compatible with both the PC and console versions of Fortnite Battle Royale. Unfortunately, there is a roadblock in trying to get Sony and Microsoft to a cross-platform agreement between their respective versions of Fortnite Battle Royale on PS4 and Xbox One. 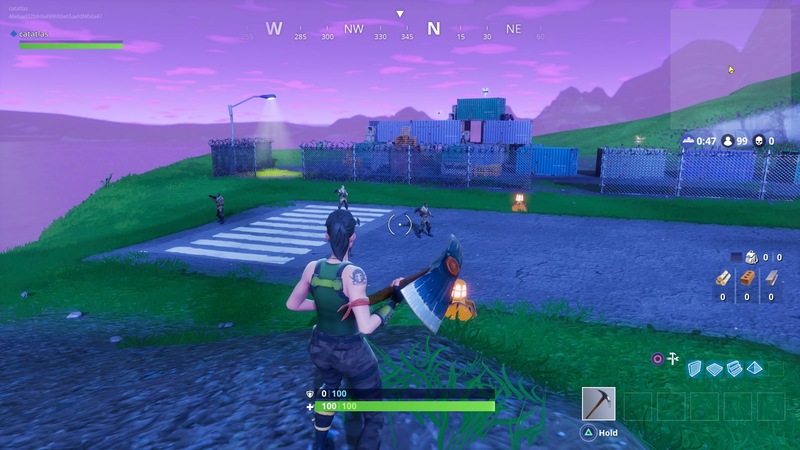 Additionally, Fortnite Save the World players are staging mass protests after a recent update left their weapons weaker than when they got them, resetting hours of work for some of the more dedicated players. Epic has addressed the issue with an apology and a promise that a fix is coming. If you're just starting out with Epic's shooter, we've got some useful Fortnite Battle Royale Tips and Tricks for you. If you like what you play you might want to take a look at the Fortnite Season 3 Battle Pass. If you're currently trying to complete the weekly challenge, you might want to look at our Fortnite Ice Cream Truck Locations guide.